Surviving Mars was one of my favourite strategy games of the year, bringing a lot of soul to a genre that often plays very clinically and detached. Everything, from art design to user interface to the shamefully pleasant songs on the radio, screams intimacy and heart, setting the game apart from every other Red Planet-related game — and most other strategy games in general. 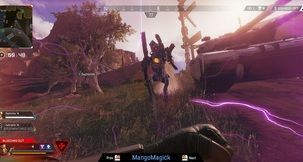 The game launched with a few unforgivable omissions like the ability to connect domes to each other, which severely hurt gameplay flow and hampered creativity. 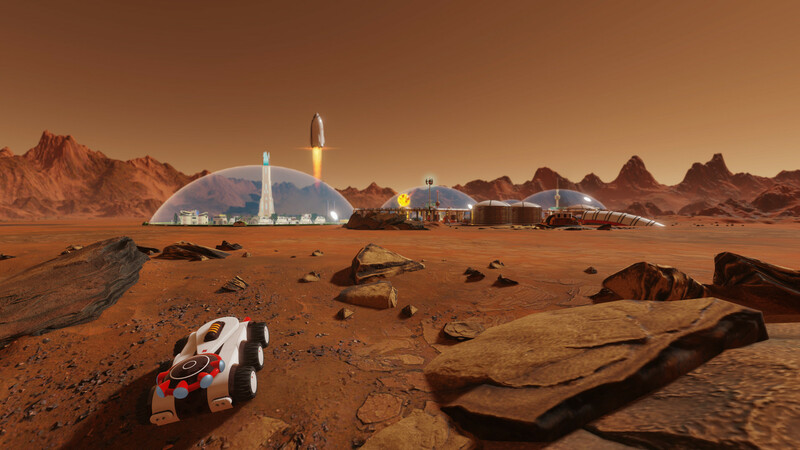 Since then, Haemimont Games has been constantly at work fixing most of its flaws, and today the company put out its first proper DLC for Surviving Mars: Space Race. While the scope of it isn’t big enough to call it an expansion, the additions are sizeable enough to technically classify it as such. New game rules got added to the pool, alongside Brazil and Japan as the two new missions sponsors. The South American country is a normal difficulty choice, granting extra funding for each colonist that moves to Mars to represent Brazil’s large immigration past and allowing players to build free passages between domes instantly. Meanwhile, Japan is slightly harder, offering powerful bonuses like quicker drones and automated metal extractors that do not require workers, but offsetting them with a more stringent and therefore smaller candidate pool for colonisation. The end result is an automated and efficient colony, but with less human colonists than most other sponsors. 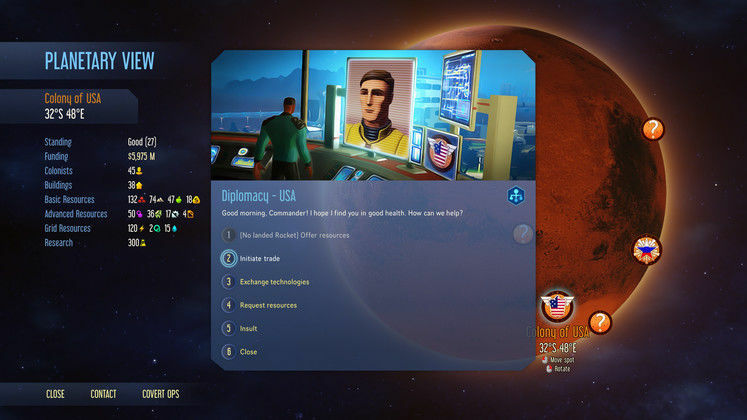 To keep things interesting, Haemimont took a page out of Paradox’ grand-strategy titles and added story events, ranging from colonist troubles to supply issues from Earth. Those can either serve as fluffy or add meaningful effects to a gameplay, such as affecting happiness or increasing the costs of building materials for a certain amount of time, and together help the experience less repetitive and stale. There are also supply pods now, which are cheaper than rockets but carry less goods and can’t be reused (and weirdly, aren’t affected by the Fuel Compression tech that increases cargo sizes). Sponsors in general also got a slight pick-me-up, with factions told and new having unique sets of objectives and rewards and bolstering their ranks with new unique vehicles and buildings. Rockets, domes, and vehicles are now more varied — be it functionally or cosmetic — increasing the pool of options available to players when managing their colonies. The flagship feature of Space Race, however, is the fact that you are no longer the only colonisation initiative braving the Red Planet. Up to three other sponsors may now share the world with you, competing for the same milestones and bonuses as you, but providing the possibility of trade to help both your projects. If you feel less inclined to be cooperative, you can also send covert ops rockets full of security stuff to sabotage or steal things and tech from rival colonies, but those aggressive actions will always damage your reputation with them. For those that want the whole planet just for themselves, game options luckily and smartly allow players to disable competitors entirely if they want to. Unfortunately, the greedy business model that put so many people off at launch continues unscathed. Paradox straight up removed radio stations from the game, forcing players to listen to the same minute set of songs unless they forked over extra cash for it. They pulled a double now with Space Race, breaking the DLC into three pieces and dubbing it “Space Race Plus”. 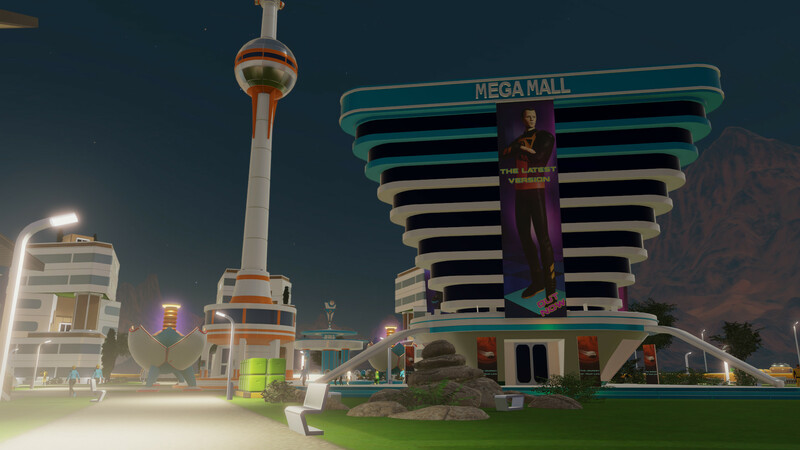 The extended (and more expensive) version adds a Marsvision radio (based off present Earth’s Eurovision contest) and a Colony Design Set, that adds 25 new functional buildings and cosmetic options to the game. While they are interesting in their own right, it does bother me immensely that the studio continues to mercenarily break up their DLC instead of just offering it in a single package for the full price. 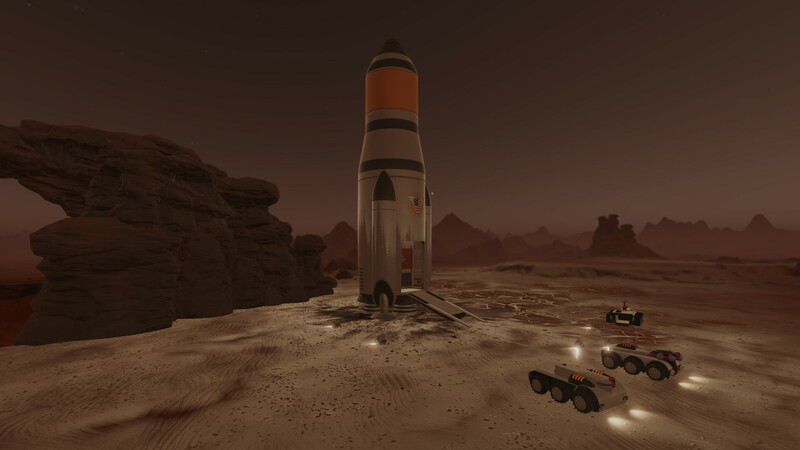 In the end, though, Space Race is a varied if not substantial update to Surviving Mars. None of the additions are truly essential and certainly not groundbreaking. 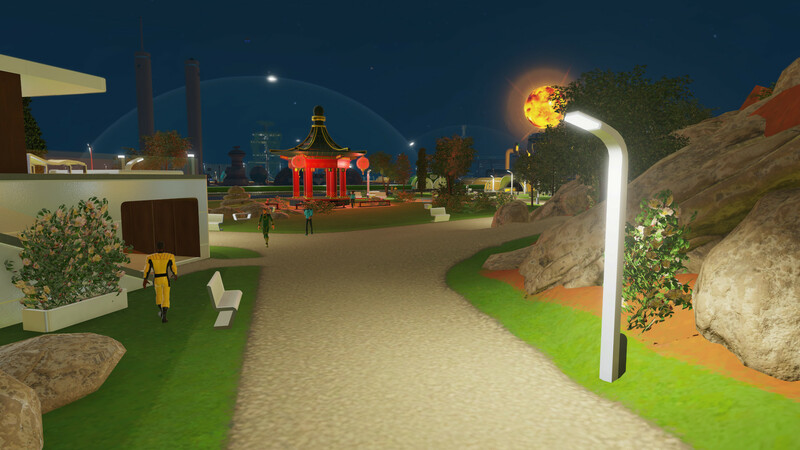 If you like Surviving Mars, this DLC should be right within your courtyard. Connecting my domes and building all the passages I could possibly want thanks to Brazil’s free passage bonus.